Ajit Pai Doesn't Care but People Chant "We Need Net Neutrality"
Ajit Pai sees the funny side of all these protests. Various activist groups did well to manage turnouts that one could describe as large and small against the Federal Communication Commission’s decision to get rid of net neutrality rules. These activist groups organized protestors across the country. To rally in and support network net neutrality rules. The protests took place last Thursday. 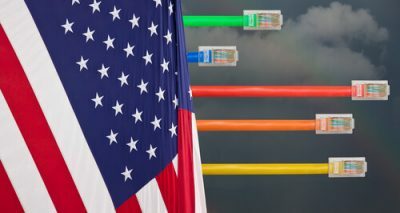 That’s also just a week after which the Federal Communications Commission is expected to move ahead with its scheduled and historic vote which would roll back all network net neutrality rules and regulations in the US. But why are the protesters aiming their guns at the Federal Communication Commission? They want the Federal Communications Commission to stop. They want the Federal Communications Commission to not get rid of net neutrality regulations. The Federal Communications Commission looks set to remove net neutrality regulations which the Obama administration Federal Communications Commission enacted back in 2015. According to these protestors, these net neutrality regulations play a crucial role for protecting the internet that is open in nature. For one reason or another most of these activists held their protests outside cell phones stores that belonged to Verizon. Ajit Pai has a past relation with Verizon. 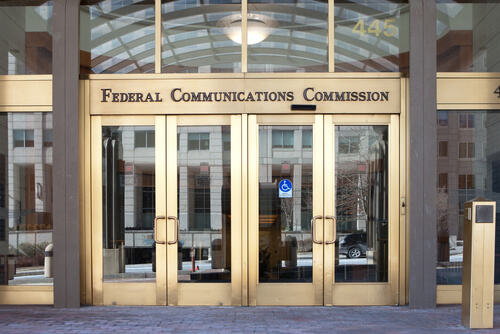 Why not the HQ of the Federal Communications Commission? After all, it is Ajit Pai, the chairman of the Federal Communications Commission who is actually responsible for leading the Federal Communications Commission’s charge for repealing all network net neutrality laws. As it turns out, Ajit Pai is also a former Verizon lawyer. Moreover, we also know that Verizon extensively criticized the Obama administration for introducing net neutrality rules. Various media outlets visited protests which activists held in parts of San Francisco, Washington DC and New York. As mentioned before, activists held several protests in several different places across the country. But one protest managed to attract the most attention. At least from the Federal Communications Commission decision makers. That protest took place in Washington DC this past Thursday. The Federal Communication Commission had held a dinner event on Connecticut Avenue at the Hilton. This is an area that is north of a region in the city known as Dupont Circle area. Activists who took part in the protest gathered at various street corners that surrounded the hotel. While doing so they also waved pro-net neutrality laws posters to oncoming traffic. They also blared related chants. Additionally, these protestors projected pro-network net neutrality messages on buildings across the street. They also used megaphone equipment to tell their personal stories related to net neutrality and what these rules meant to them. The interesting bit is that two of the Federal Communications Commission’s Democratic commissioners also found the protest interesting. More specifically Jessica Rosenworcel and Mignon Clyburn joined the anti-FCC demonstration. Not only that, but these two Democratic Commissioners also gave protesters brief speeches. It is safe to say that these two Democratic Commissioners didn’t hesitate to rally for the net neutrality cause at hand. They also discussed the significance of having a neutral and open internet. The two Democratic Commissioners also talked with Ars Technica during the protests. Clyburn told Ars Technica that she had an optimistic view about the future of network net neutrality rules. With that said, she also mentioned that impactful changes were unlikely to happen overnight. All in all, organizers of the protest event told media outlets covering the protest that they expected around 110 to 130 supporters. These could cycle through the protest and/or event throughout the duration of the evening. The protest also elicited a good amount of support from all the traffic that passed them by. Some media reports said that random drivers frequently cheered and honked enthusiastically to support the protesters as well. As mentioned before, activists who organized protests didn’t just do so at one single place. They held more protests in several other places across the country. Ars Technica along with other media outlets managed to visit two other protests as well. These had a light attendance. But both were held in Washington DC on the same day. These two “light” protests took place earlier than the larger one described before. The first of these protests, took place near Dupont Circle near 9 am. And how many protestors did it attract? A lot of people care about net neutrality in the US. But most care enough to join the protests. One of those protestors went by the name of Oliver Covington. He told Ars Technica reports that he had to get up at around 5 am in order to catch the train that left the station at 6 30 am in order to get to the city and join the protest. Even though the protest did not attract many protesters, the three protesters that did form the protest managed to hang on for the rest of the day. They also attended one other and later protest. The third protest against the Federal Communications Commission eliminating net neutrality laws took place in Downtown DC. This third protest attracted around a dozen demonstrators. What did the protestors do differently this time around? Well, they started to march and chanted related slogans which communicated the message that they wanted network neutrality rules to stay forever. Such slogans do make sense. But not to some people. People who work for the Federal Communications Commission. Chairman Ajit Pai would probably be the last person on earth who would agree to net neutrality rules. Especially given what he has presented till now in his new anti-net neutrality proposal. Protesters held demonstrations against the Federal Communications Commission attempt to get rid of net neutrality rules in New York as well. Verizon has a store right on New York’s 42nd Street. This is a place that is very close to Time Square. And because of the store’s central location, it gathered rather a large crowd of protesters. Some media reports say that almost 250 people joined the protest against the Federal Communications Commission. This time too, the crowd did the same things as before. And then they moved ahead to chant slogans. The protesters in New York chanted slogans which included content such as Time to Fret as we (the people) could not let them (the FCC and many other players) have the net. Right around the evening of Thursday, protesters managed to gather around 200 people to join their anti-FCC protest. People got together then held up signs. They too, just like the protestors at all other places, chanted slogans. This time around, they had gathered near the Verizon store in the downtown area in order to support net neutrality rules in the country. As mentioned before, the Federal Communications Commission is expected to vote on the matter sometime next week. The vote will settle the issue of net neutrality rules once and for all. Ars Technica also managed to send its reporters to the San Francisco protests. They did so for about 30 minutes or so. According to reports, people chanted slogans which one would normally hear at similar other San Francisco Bay Area spots. Did they look like stopping the traffic or damaging property? According to Ars Technica, no. The FCC may be evil. But people are definitely not. In fact, Ars Technica reported that protests generally seemed reasonably friendly. They also made a pathway for other pedestrians to walk through. Protestors of the San Francisco Bay Area protest chanted in a clear format. That format was call and response. These included chants such as “When I say internet, you say Freedom. And then protestors would chant freedom every time some other protesters chanted internet. As alluded to before, Ajit Pai will attempt to eliminate all current net neutrality rules via a vote which will take place on December 14. Moreover, the vote will also shift existing consumer protection responsibility to the FTC, the Federal Trade Commission. But Ajit Pai’s plan will put in motion one other rule as well. Ajit Pai’s proposal would forbid local governments and states from setting up their own local net neutrality regulations and rules. What does Ajit Pai think about these protests? But we can tell you that Ajit Pai actually joked with a Verizon executive about the people considering him a puppet Federal Communications Commission chairperson. 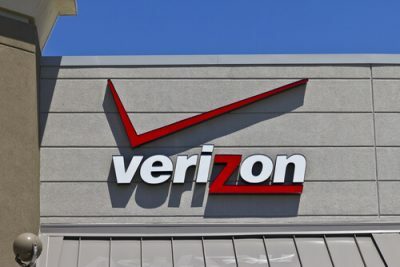 In a skit, Verizon said that they wanted to groom a very particular Verizon puppet in order to install him/her as the Chairman of the Federal Communications Commission. But who is to say that Ajit Pai didn’t give any attention to the protests that took place in Washington DC on Thursday night? All that these protesters want is for the Federal Communications Commission to roll back its decision to kill net neutrality rules. As for now, Ajit Pai looks all set to continue with the impending rollback of all existing net neutrality rules and regulation. The Federal Communications Commission, as mentioned before, even set up a dinner for the employees of the organization. The dinner is also known in the media as telecom prom. It took place in Washington Hilton. And according to some reports, Ajit Pai tried to entertain the audience at the dinner with some particular jokes. Jokes that represented him as a puppet. A puppet that Verizon installed in order to lead the Federal Communications Commission. We have already mentioned the fact that Ajit Pai worked for Verizon in the past. Ajit Pai worked as an associate general counsel for Verizon. And he worked at the company from 2001 to 2003. As mentioned before, next week Ajit Pai will attempt to lead the Federal Communications Commission to vote on killing net neutrality rules. Interestingly enough, this is also something that internet service providers such as Verizon have advised him to do. And this is what Ajit Pai addressed at the dinner via a satirical video. The video showed Ajit Pai planning and conniving his ascension to the very top of the Federal Communications Commission. More specifically, it showed Ajit discussing his rise to the chairmanship of the Federal Communications Commission with a Verizon executive back in 2003. Apparently, the video also showed that the Verizon executive was actually Kathleen Grilla. Kathleen Grilla is actually a Senior Vice President and the deputy general counsel on Verizon’s government affairs and public policy division. Some media reports have revealed that Ajit Pai actually did not intend for the video to go public. In the age of the internet and social media, that can’t happen. And folks over at Gizmodo managed to obtain live footage of Ajit Pai’s remarks and the whole skit as well. If you want to watch that then click here. Is Ajit Pai Actually A Brainwashed Verizon Puppet? Let’s talk about the Verizon ski. Ajit Pai tried to introduce the video with some very particular remarks. First Ajit Pai joked by starting his speech with the words “in collusion”. Immediately he retracted and said that he meant conclusion. He apologized and then indicated that it was a Freudian slip. Ajit Pai then went on to mention that he knew many people still could not believe that he came to the dinner as the chairman of the Federal Communications Commision. Moving on to the next part of the skit, Ajit Pai said that some people still asked themselves how on earth did Ajit Pai become the chairman of the FCC? Ajit then said that moments before that night’s dinner, someone managed to leak a 14-year-old tape which could help people answer the above-mentioned question. Towards the end of the first part of the skit, Ajit Pai said that in all candor he could no longer manage to hide from the real truth. After Ajit Pai said these words, the satirical video rolled. The transcript of the video shows the Verizon executive explaining that the industry had captured the Federal Communications Commission. But the company, Verizon, believed that the industry had not captured the FCC enough. The Verizon executive then said that the company wanted to groom and brainwash a Verizon puppet. 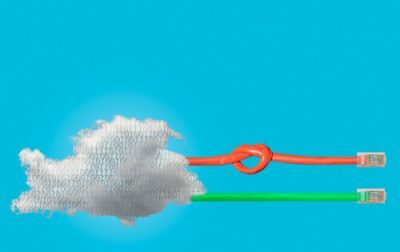 And then install that puppet as the chairman of the Federal Communications Commission. Think Manchurian Candidate, the Verizon executive ended his sentence. To that, Ajit Pai replied that the proposal sounded awesome to him. Then the Verizon executive replied that he knew it was a great proposal. Then he mentioned that the company faced two problems. One, that the company had determined that it would take Verizon around 14 years to incubate such candidate. Dorky, so that the company would not have problems in throwing the scent off. To the Verizon executive’s last sentence, the video showed Ajit Pai saying “Hello”. After that, the Verizon Executive asked Ajit Pai if he would take the job. To the question, Ajit Pai replied that he would absolutely take the job. Then Ajit Pai asked the Verizon Executive that earlier he had mentioned that the company faced two problems. What was the second problem? The Verizon Executive explained that the company needed to find a suitable president as well. Then the company would need that candidate to win the presidency come 2016. And then the company would want the new president to appoint their candidate (at this point Ajit) as the chairman of the Federal Communications Commission. Then the Verizon executive continues to mention that he thought the best candidate would actually come from the outside. After that, the Verizon Executive said that he actually had no idea who that outsider would be. The Verizon Executive ended his part of the skit video by saying that if only someone could give them a clear sign. When the Verizon Executive mentioned that the video suddenly pointed towards a picture of Donald Trump. Ajit Pai then told the audience that that’s how he became the chairman of the Federal Communications Commission. The audience, as expected, applauded the video and laughed as well. Readers should keep in mind that this dinner is actually an annual dinner. And the Federal Communications Bar association’s hosts this dinner every year. The Federal Communications Bar Association is actually a group of telecommunication attorneys. It also included professionals belonging to other communications industry sectors.